Is your website ready for this holiday season? It’s already that time of year again when stores are decorated in bright red, green and gold, with Christmas carols playing in the background. Long before anyone has time to think about Thanksgiving turkeys or holiday shopping, the season is upon us. Now is the time to start preparing your site for the season shopping rush. Whether you manage an eCommerce site or a content site, you can take advantage of the last two months of the year to bring in more traffic and make more conversions. Here are a few tips to get your website into that holiday spirit. Many eCommerce sites are so large that it would be impossible to manually optimize all the pages for a short holiday season. You can put some automated processes in place, such as placing a holiday graphic in the page template, but giving special manual attention to every page usually isn’t feasible. Therefore, it’s best to come up with a list of important pages that you will focus your attention on for the holiday season. From now on, I’ll call this group of pages, your “focus list”. To determine which pages will be a part of your focus list, you should begin by studying your analytics. First look at the data from previous holiday seasons. If you have any evergreen products (those that don’t go out of fashion from one year to the next), pull those that received the most traffic and conversions in past seasons, and place them at the top of your focus list. Next, hone in on new products that have had recent traffic and conversion successes, and add these to the focus list. Finally, add any items to the list that didn’t make the analytics cut but you want to promote anyway, such as overstocked products. Prep tip: Place your focus list in a spreadsheet. This way you can make notes about each change you made. You’ll need to quickly revert back to pre-holiday code and text, so copy the current, non-holiday text here to make reverting back easier once the season has passed. Once you have your focus list in hand, you can use the following tips to promote those pages more prominently during the holiday season. Temporarily change the meta titles and descriptions on each page in your focus list. Add holiday terms such as “sale”, “holiday”, “Black Friday”, “Cyber Monday”, “Christmas”, etc. By adding holiday-related verbiage to your pages’ meta titles, you may be able to position your pages in the SERPs for holiday-related queries. By adding such verbiage to the meta descriptions, you stand a better chance of getting users searching for holiday specials to click through to your site rather than choosing your competitors’ sites. Create a humorous video that can be promoted on Facebook and other social networks. Ideally, the video will centered around your brand, rather than any particular product. A good example is the 2011 campaign from Target. Remember Target’s crazy Christmas lady, Maria Bamford? She played the world’s craziest shopper who prepped herself for Black Friday shopping at Target. Below is one of the ads to refresh your memory. Although Target probably spent a fair fortune on these ads, you don’t have to. In fact, a quaint “home-made” video can often be funnier – and more widely shared – than a slick professional production. Don’t simply copy the idea behind Target’s crazy lady video below, of course, but use it to inspire your own humorous video creation. Create content that shows unique holiday-themed uses for some of your focus products. This content might be humorous or serious, but it should make users see the product in a completely new way. Sell ladders for example? Decorate it as though it were a Christmas tree, take some high quality pictures of it, and share a “unique holiday decorating tip”. Be sure to mention how easy this ladder makes storing all those decorations at the top of a closet after the holiday season as well. Don’t sell ladders? No problem, here’s another example to get your creative neurons firing. Sell cookware? Recreate “The Little Drummer Boy” scene by snapping a photo of a small boy in front of a manger, banging on the bottom of a large red pot using wooden spoons as drumsticks. Have a full holiday table beautifully set with matching cookware in the background. These content ideas are simple and can be quickly included on your current product pages (and just as quickly removed on December 26). Include a Pinterest share button next to each image to encourage social sharing. Of course, this tip is a given, but it never hurts to state the obvious. Be sure to share any special holiday deals on Twitter and Facebook. Don’t forget to ask for Retweets or Likes and Shares when you post the deals! Create a special holiday Facebook coupon promotion. Using coupon apps from Involver, Woobox, or others, you can easily create a highly-shareable promotion that gets fans and friends excited about a great deal. Make sure it really “feels” like a great deal. Instead of a 10% off coupon for a mid-priced item, give a 90% off coupon for a low-priced item, or even offer a small item for free with the purchase of a larger item. The more exciting the deal seems, the more it will get shared. Give users what they’ve come to expect. Users expect (and appreciate) gift guides, especially if those guides are categorized and grouped in standard ways. Create a gift guide that features this year’s hottest products from your site and group them in various ways, such as Gifts for Kids, Gifts for Women, Gifts for Men, Gifts Under $10, Gifts Under $50, etc. You’ll not only make your visitors lives just a little easier, but you’ll also please search engines as well. 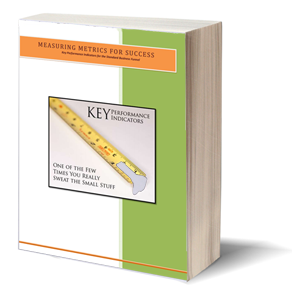 Tip: If your products are in a specific niche, include the niche in the Guide title. If you sell vintage clothing, for example, use “Vintage Clothing Gifts Under $50” as the title of the page, rather than the more generic “Gifts Under $50”. You’ll be unlikely to compete in search for the more generic phrase, but the longer tail phrase might rank well. Like gift guides, users appreciate suggested product bundles. Create product sets that bundle together several related products – or a product with several popular accessories – into one perfect gift set. As a bonus, give a small discount when ordering the bundle, and prominently display this discount as an advantage of buying the entire bundle. Christmas shopping is nerve-wracking, and no one wants to get a bum product. Instill confidence in your products by featuring product review videos or “how to use” product videos for any products that might be complicated or high-end. If you are short on time, you may need to create these yourself, but if there’s enough time before the holidays, consider asking satisfied customers to create these for you. You can offer incentives, such as discounts on future purchases or even a free t-shirt (people love free t-shirts) for their time. Real customer video reviews deliver conversions! And as a bonus, these same videos can be used year-round! What’s easier than getting new customers? Selling more products to current customers, of course! A great way to remind your previous customers that you still exist is to send a Happy Holidays greeting to them. Don’t settle for a bland email greeting card, however. Instead, create a fun holiday video! You don’t even have to have any particular skills or a big budget for this. Use a service such as JibJab.com. In just a few minutes, you can create a fun holiday-themed video, using a few of your company’s employee faces, that you can email to your list. No matter how many times people see similar videos, they always notice them. Here’s a screenshot of a typical JibJab holiday video. If you haven’t done so yet, now’s a good time to make use of schema.org microdata on products that fit into the various rich data categories. Anything that makes your search listing stand out among the crowd is valuable, so don’t neglect this. Notice the stars in this search result? Tie a promotion to a charity this holiday season. By offering a deal, along with the promise that some of the proceeds will benefit a worthy charity, you give your users the chance to feel good about their purchases in several ways. They’re happy to have gotten a good deal, they get that warm, fuzzy feeling of helping others, and they appreciate you for your generosity. Of course, those helped by the charity also benefit, so it’s a widespread feel-good campaign. Bonus: This is also the perfect opportunity for a press release and lots of social sharing. Buying gifts is only the first part of a stressful holiday season. 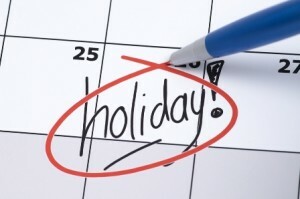 What’s the next stage of holiday stress? Wrapping the gifts, of course! If you offer gift wrapping services, now is the time to place a gift wrapping call to action in a prominent place, preferably as an option on the product page. While users are choosing colors and sizes, they are in the “options decision mode”. By placing a gift wrap checkbox in that same area, they are more likely to make the quick decision to check that box. Add at least one more high quality image of each product on your focus list, preferably one that evokes the holiday spirit. A perfect example is to display an image of an excited person pulling your product out of a gift-wrapped box. Just by adding an image of someone’s happy face, you’ve created a positive mental response in the buyer’s head, giving her the opportunity to visualize her recipient’s reaction to the gift as well. Now is a good time to review the placement of your social sharing buttons. Make these buttons prominent, and while you’re at it, review your Add To Cart buttons too. Don’t make it difficult for visitors to figure out how to share or to buy. Do you plan to offer free shipping? If so, feature it prominently in the top portion of each page. When comparison shopping, those who offer free shipping often beat out the competition for that reason alone. Make sure your visitors know about it! Holiday shoppers are in that oh-so-sweet buy mode, so keep them in the zone as long as possible. You’ll never have a better chance to upsell! Show related products or accessories on the main product’s page, and include some additional suggestions at the bottom of the cart as well. Users will often be willing to add “just one more thing”, especially if it’s a relatively low-priced item. Don’t squander that opportunity. When writing new content, compare your topic to something that is holiday themed. For example, instead of writing about “Five ways to cut your electric bill”, write an article titled “Five ways Santa cut his electric bill”. These types of articles are usually more easily shareable. If you monetize your information site with ads, consider either swapping out the current ads with those that have some holiday relevance (i.e. hot holiday products) or add some small holiday graphics near the ads. One well-placed holly leaf graphic above a group of ads may be all that’s needed. (In other words, don’t drown out the content with over-the-top graphics). If you monetize your information site with affiliate links, now is the perfect time to prominently feature the affiliate products you promote. How many times have you completely forgotten about an affiliate product that you signed up for a year ago? Or when was the last time you searched your affiliate network for hot new products to offer? Take a little time to pick just the right products to promote, and then move them into noticable positions on the site for the holiday season. Like the ads tip above, consider placing a small holiday graphic near the affiliate link to draw the reader’s attention to it. Are local holiday events happening in your niche? Take the time to blog about them! Your visitors will be happy to hear about local events that cater to their interests, and they’ll remember you for sharing it. Create an article series such as “The 12 Days of ‘Your Topic'”, with each successive article focusing on one aspect of that topic. For example, if you normally write about blogging, the series titles might be something like: “On the first day of blogging”…”On the second day of blogging”…, etc. If you use WordPress, there are several plugins, such as Simple Post Series that make organizing a series of posts simple. When was the last time you emailed a newsletter to your subscribers? Whether you follow a set schedule, or you can never seem to remember to do this, now is the perfect time for it. Of course, you can send holiday greeting (see the JibJab video idea in teh ecommerce section above), but you can also offer a special downloadable “gift” to all your subscribers. Your readers come to your site for the information you give, so create a special piece of content available as a download, and promote it as a special holiday gift in your newsletter. This is also a great time to increase your list of subscribers by promoting this download on the site with a holiday graphic. Be sure to use the word “gift” when you promote this download, and dress up the promotional Call To Action ad or button with holiday cheer. We hope these tips help your site get the most out of this holiday season. Want more? We’ve got more! 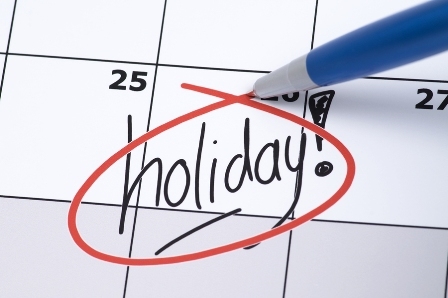 Check out our previous article where SEO and PPC experts share their holiday tips. We’d love to hear your tips as well. Please share them in the comments below.